The Wilson Chamber of Commerce hosts over 50 events a year, many of which can be found by visiting our Community Events Calendar. 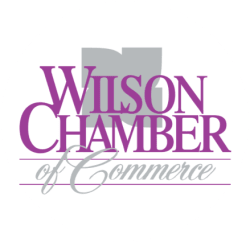 These events are intended to provide the Wilson business community a wide variety of networking, advocacy, marketing, and educational opportunities; and are only available at the Chamber. A few of these events have an even greater reach. The Chamber's PREMIER EVENTS have earned a reputation for being some of the most valuable business engagement programs in the region. The Chamber’s Annual Meeting is the largest assembly of business and community leaders in Wilson. In addition to installing new officers and celebrating the previous year’s achievements, the event is also intended to inspire our members to connect their business with service to our community and set our direction for the year ahead. With a facility packed with exhibitors, vendors, and merchants, the Wilson Spring EXPO is a veritable who’s-who of area businesses. Home and garden, hospitality, finance, and manufacturing are just a few of the industries that choose this event to market their goods and services to customers from Wilson and beyond. We consider our workforce to be one of our community’s greatest assets, and no responsibility is more important than keeping our workers safe. The North Carolina Secretary of Labor uses this luncheon as an opportunity to recognize those employers in Wilson who’ve made workplace safety their foremost priority. The end of every summer marks the beginning of a new academic year, and an opportunity for the Wilson business community to reintroduce itself to the students, faculty and staff of Barton College. New and returning Bulldogs are invited to learn everything our businesses have to offer. Taking a client out for a round of golf has never been easier – or more fun. Our tournament is truly all-inclusive; combining food, beverages, and prizes on one of Wilson’s several beautiful courses. Along with our Fairway Luncheon, there is plenty of opportunity to introduce yourself to other members and potential customers.